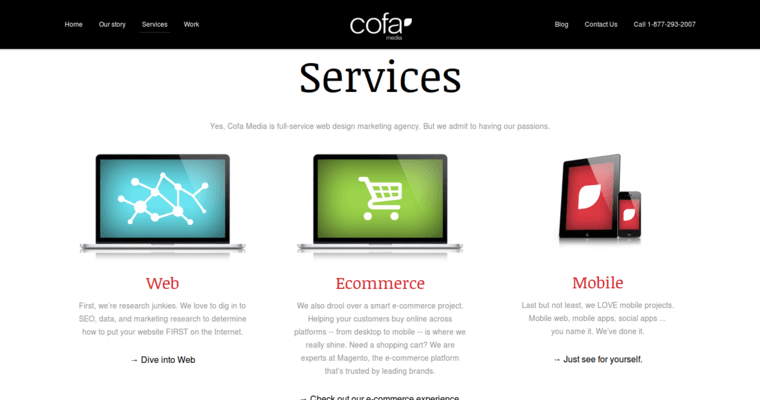 Cofa Media prides itself on providing premiere services in web design. It provides entrepreneurs and established businesses with the perfect resource when it comes to creating an online presence that is unforgettable. 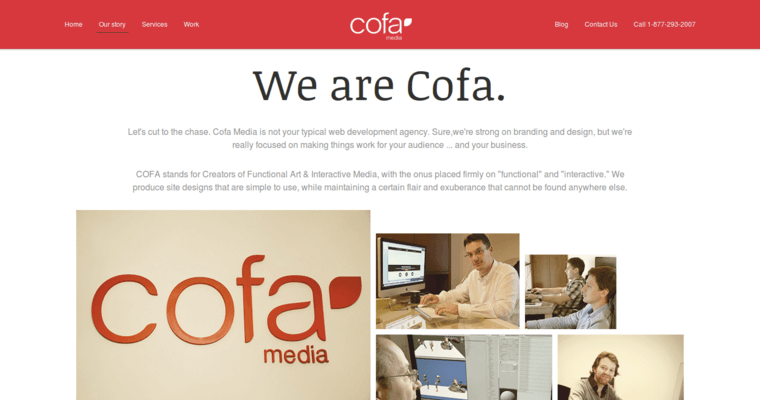 Cofa Media begins by tailoring its services according to the needs of the client, beginning with a proficient design team that will get the job done in an efficient and creative manner. Whether a project only requires one designer or a tightknit group that can multitask, Cofa Media will point prospective customers in the right direction. Cofa Media also taps into the world of mobile devices by assisting clients in designing mobile sites, while also enhancing traditional online sites to boost e-commerce. It is all about spreading the word and connecting consumers with their businesses of choice. 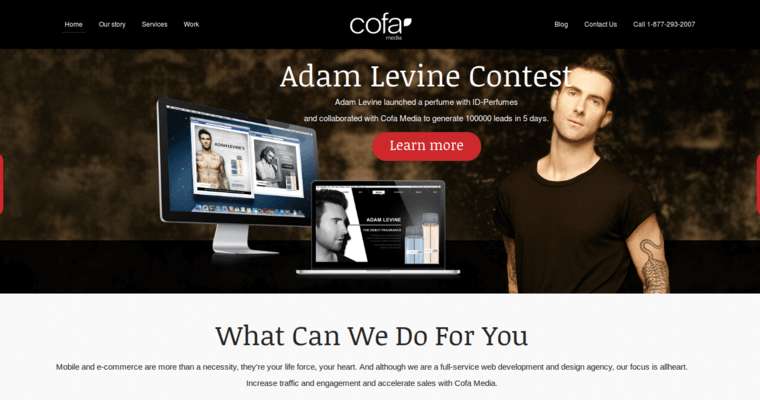 Cofa Media helps commercial clients to make their goals happen by creating websites that are user-friendly and grab everyone's attention immediately.